With an impressively low 0.75" (19mm) mounting profile, the PLB-41 is a super slim mount perfectly suited for those applications where seamless integration counts most. It supports most 37-70 flat panel TVs up to 75kgs/165lbs. This is the perfect bracket for customers who wish to mount their TV as close to the wall as possible. The major benefit from this design of wall bracket is that it has a wide plate with long arms. 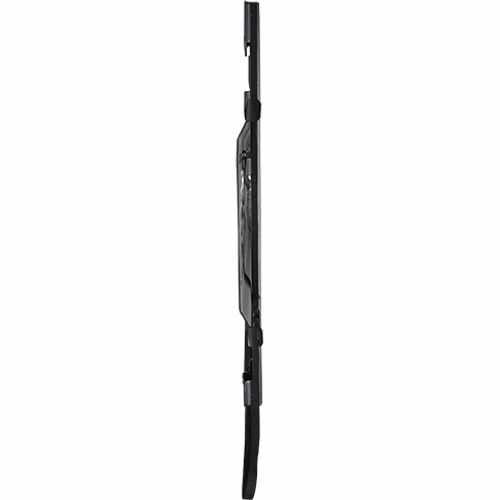 This is ideal for older large flatscreen TVs that have very wide fixing points. 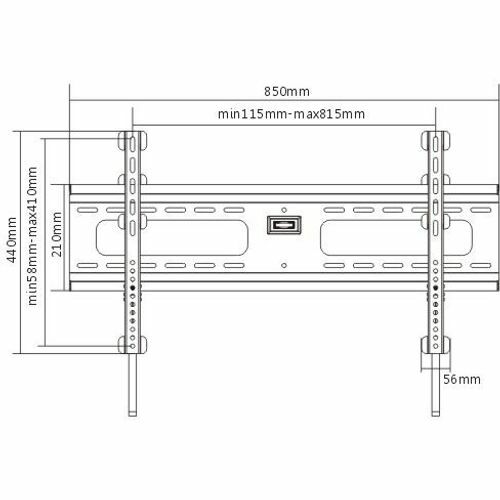 This bracket will fit TVs with bracket fixing points that are up to 815mm wide and 410mm high. 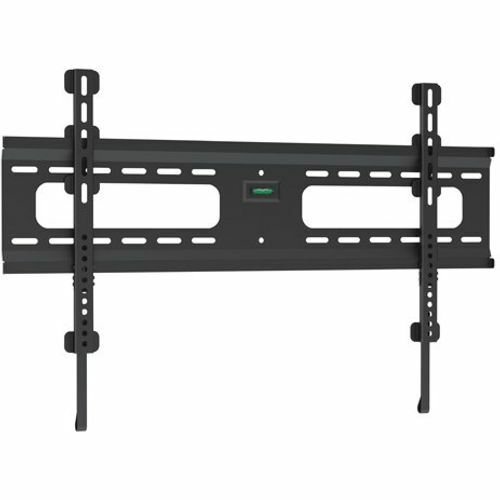 In many cases, a wall bracket consists of a flat plate and 2 arms and for customers who have put power points and aerial/satellite sockets in place behind their TV, this can cause problems in terms of where you mount your wall bracket. With this design, you dont have to worry, as the plate has holes cut from the middle and will fit around your sockets easily, and will still allow to you keep your TV close to the wall. The bracket is supplied with fixings, spacers and screws.